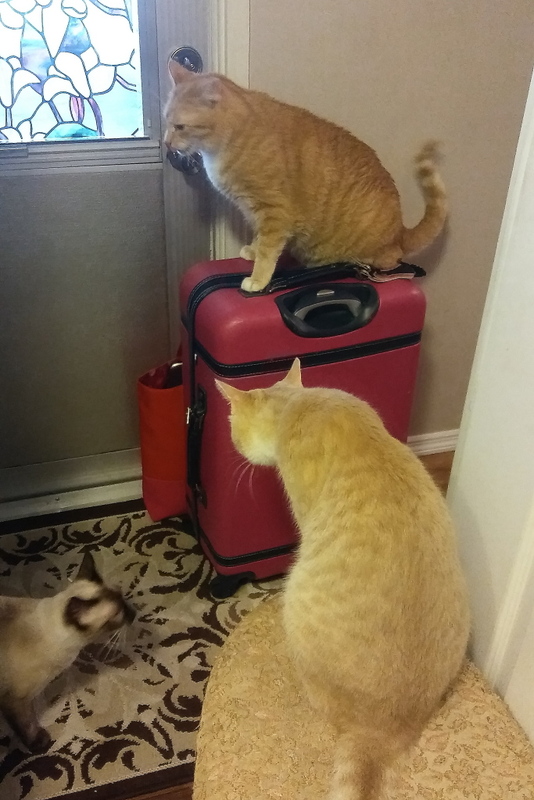 We just got back from a week-long cruise and our cats apparently did not miss us too much because they all felt it was more important to inspect our luggage than to welcome us home. 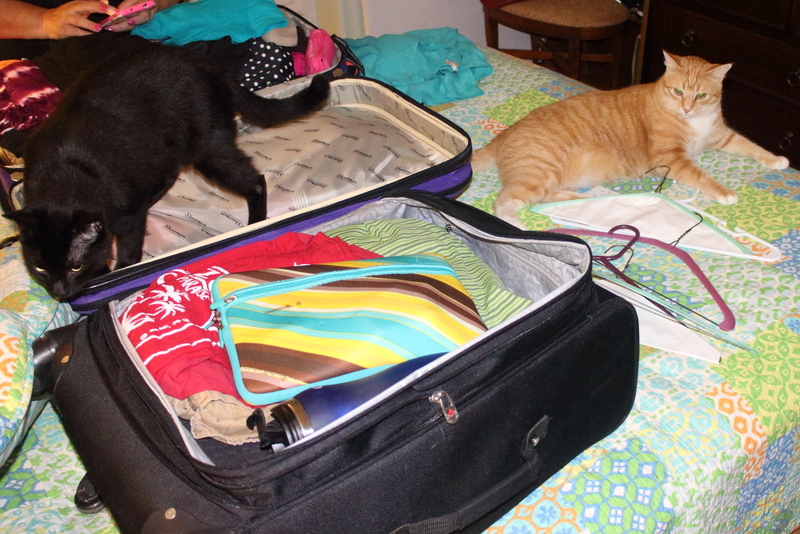 I bet I could get them a job with the cruise line. 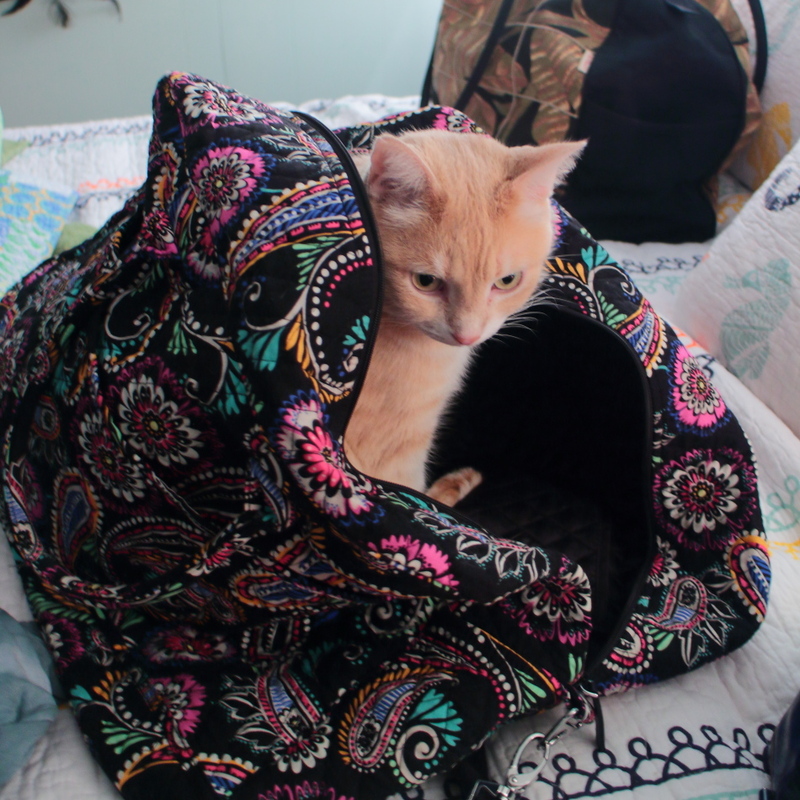 This entry was posted in Uncategorized and tagged Cats, cruise, cute, inspect, luggage on October 23, 2018 by Charles Huss. 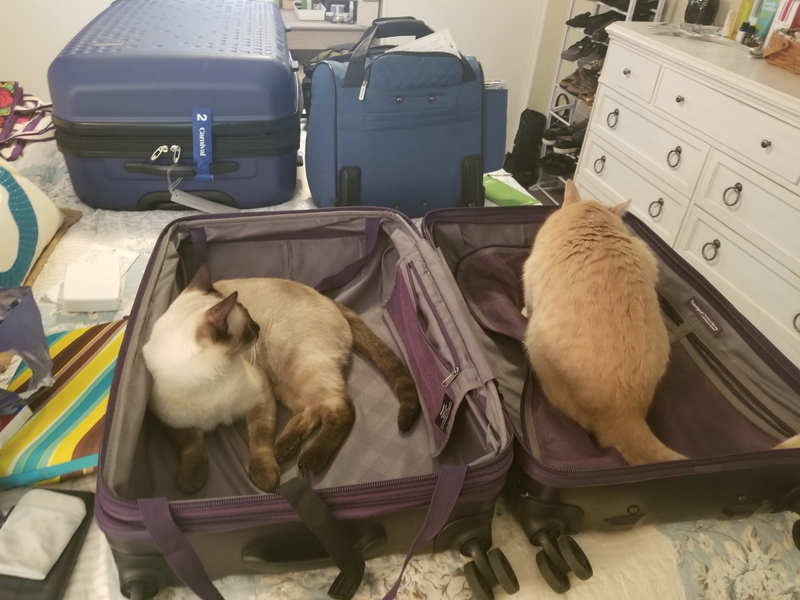 My wife left on a business trip yesterday and she had plenty of help packing for it. 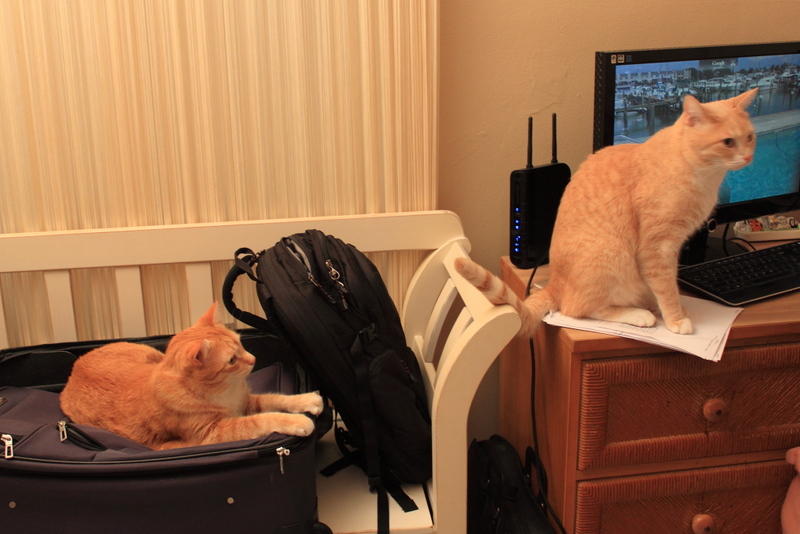 Each of our cats did their part in making sure Mom got off to a good start on her trip. 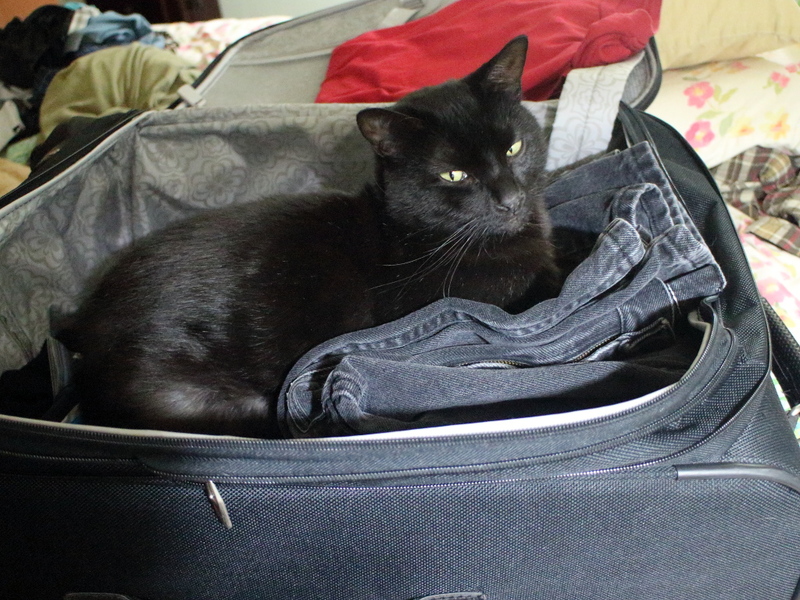 Frankie made sure she didn’t over-pack her suitcase. 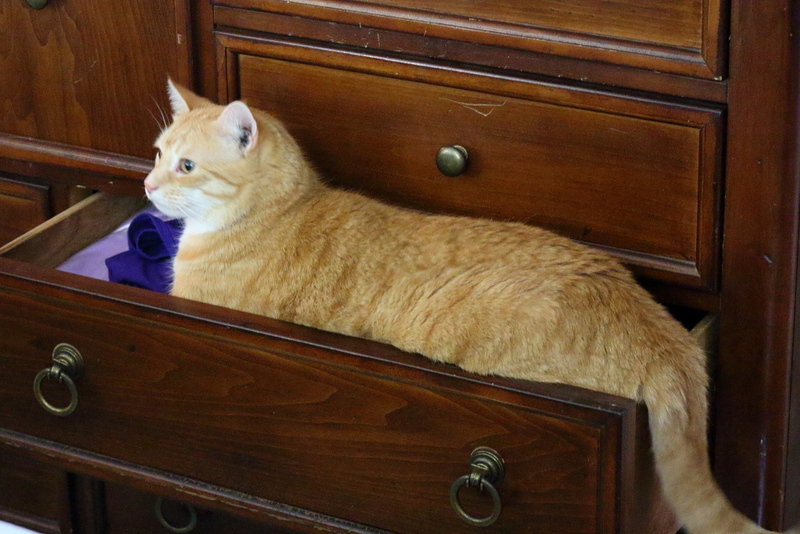 Chris helped pick out her under garments. 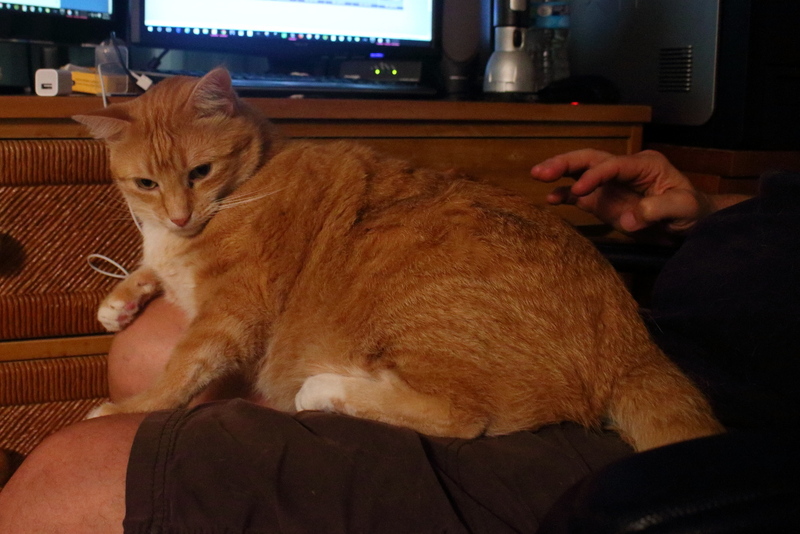 Puck supervised the whole operation. 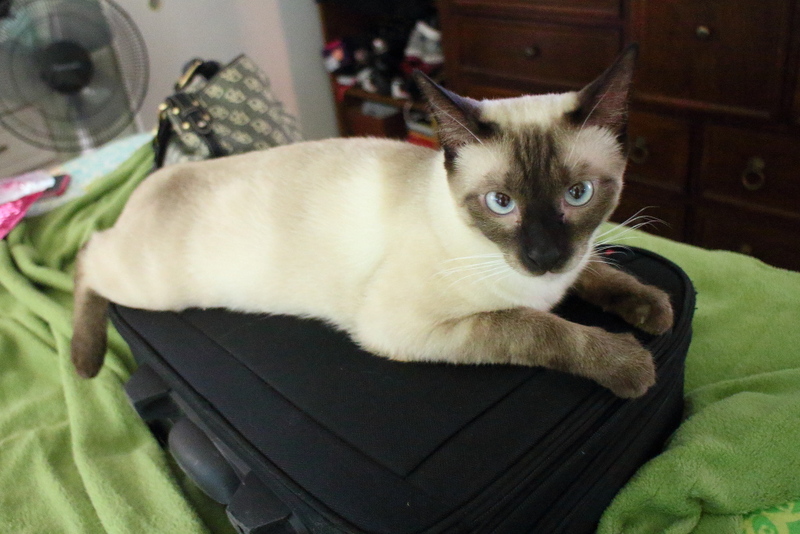 Floki helped out Homeland Security by making sure nobody tampered with her carry-on bag. I didn’t have the heart to tell him she was driving. The next morning everyone wanted to help Mom out to her car. 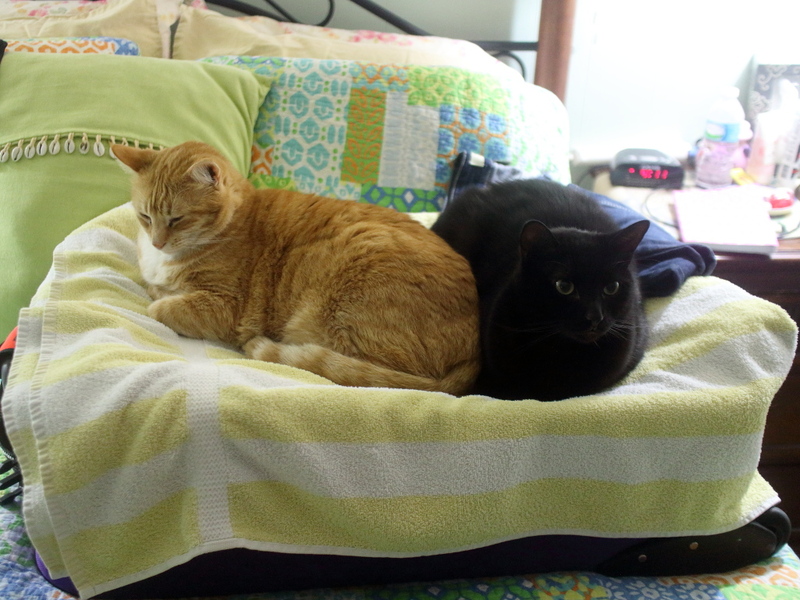 I don’t care what Mick Jagger says, these are the real Mother’s Little Helpers. 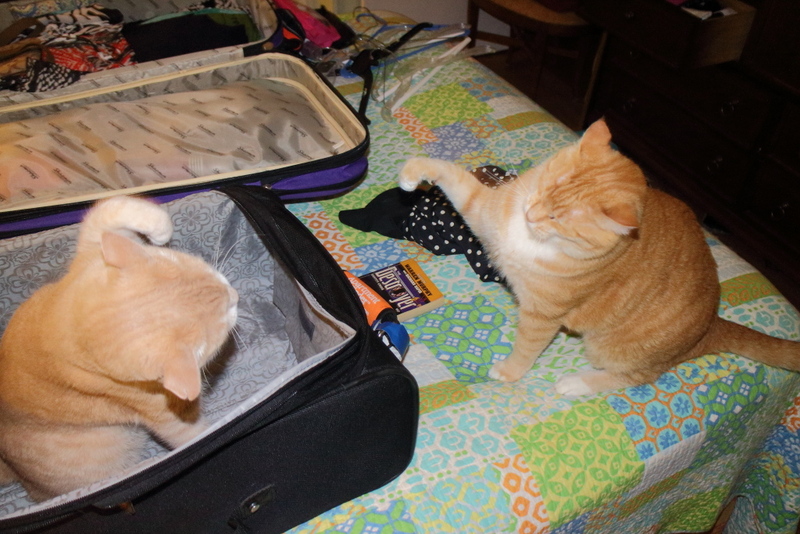 This entry was posted in Uncategorized and tagged Cats, cute, funny, help, luggage, trip on May 23, 2017 by Charles Huss. 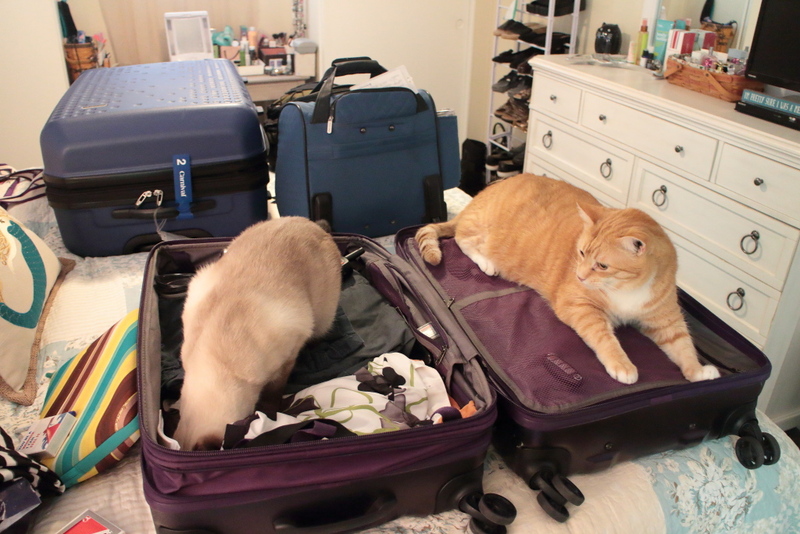 This is almost a repeat of last week’s post with Chris and Puck on Rose’s suitcase. 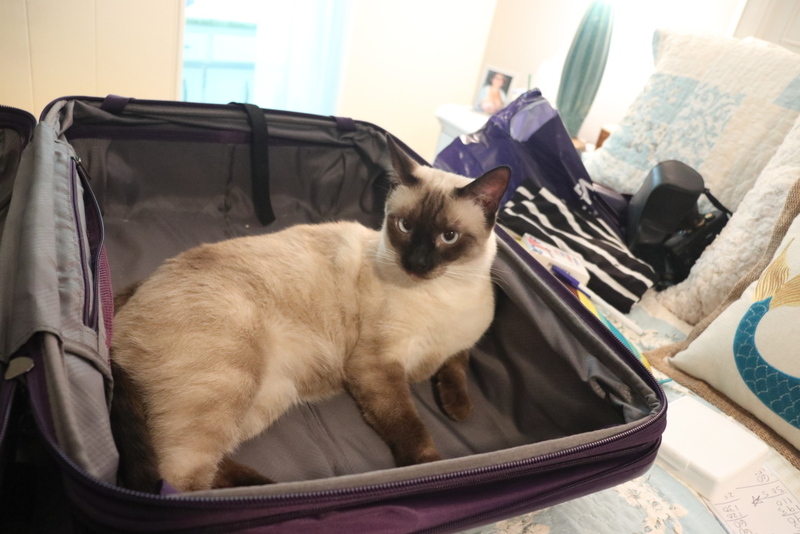 She left for a business trip to Las Vegas the Sunday before last. 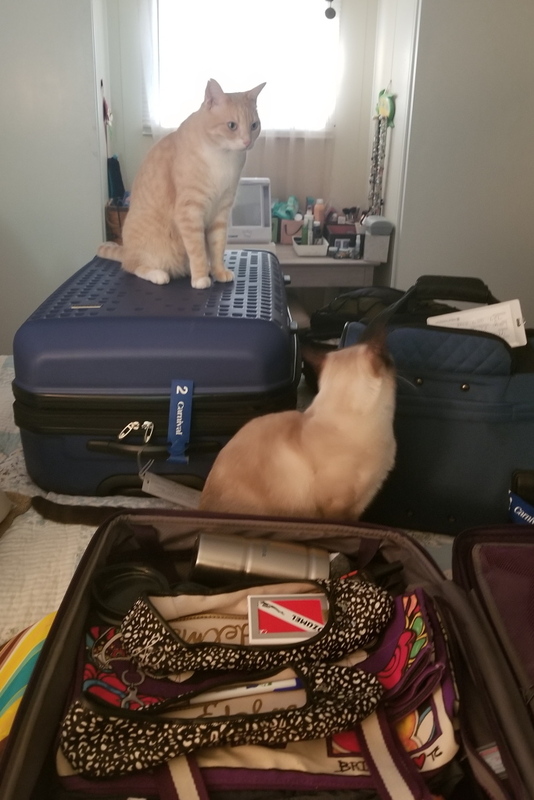 Since her trip was already paid for and since I hadn’t seen my mother and sister in several years, we thought it would be a good idea for Rose to extend her stay and for me to fly to Las Vegas. My mother and sister live near Phoenix and planned to drive, with their husbands, to meet us. 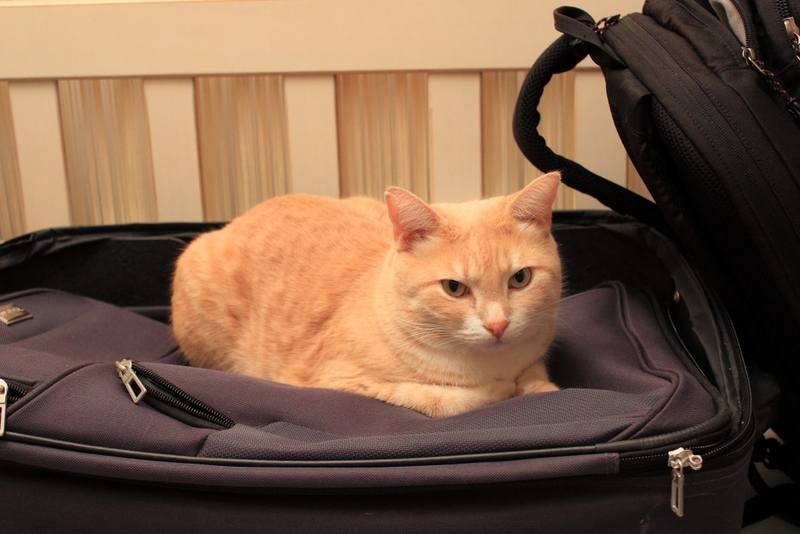 While I was packing, Puck did what cats always do when a suitcase is out, he climbed inside. 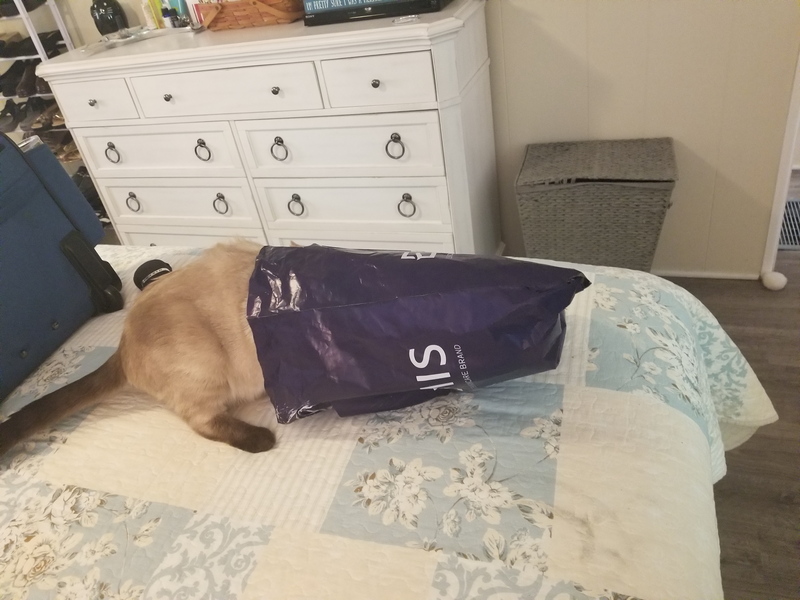 Does anyone have a cat that does not do this? 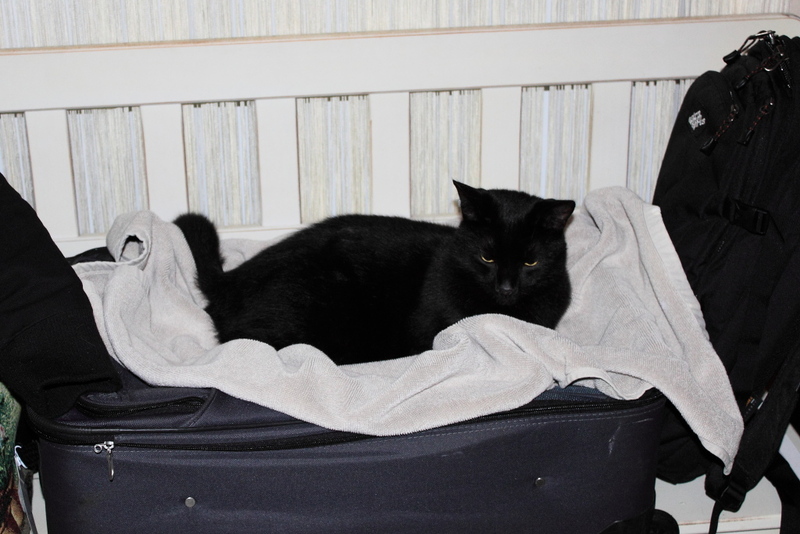 This entry was posted in Uncategorized and tagged cat, cute, luggage, suitcase on February 19, 2016 by Charles Huss. 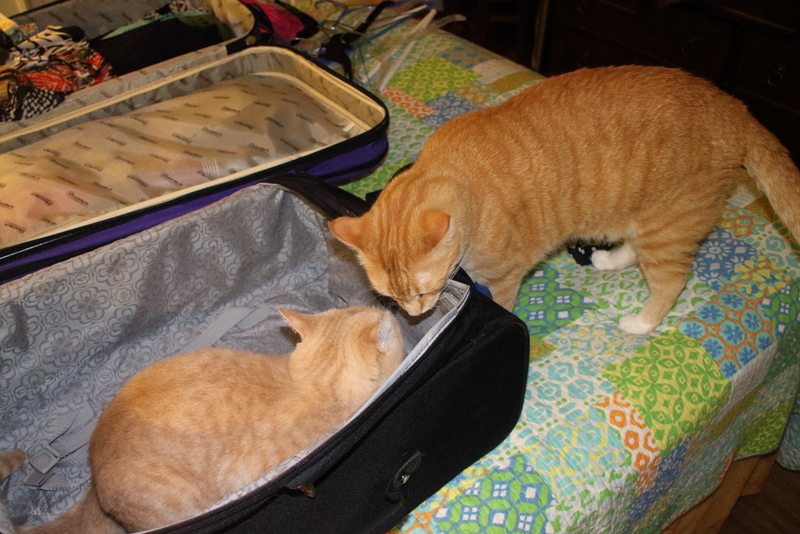 Rose packed a little for her business trip and then left the suitcase in the hands of two very capable guard cats until she could finish the job. 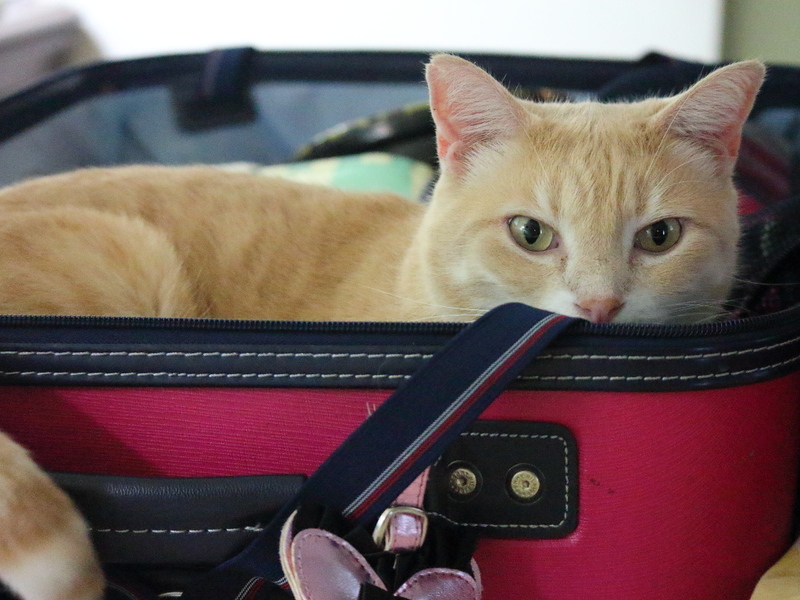 This entry was posted in Uncategorized and tagged Cats, cute, luggage on February 12, 2016 by Charles Huss. 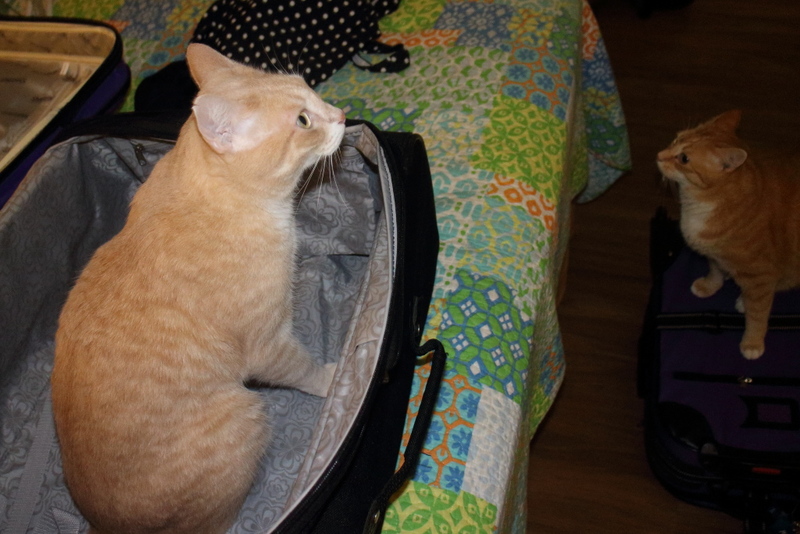 We returned from our eight-day cruise late Sunday afternoon and the cats were very happy to see… our luggage. 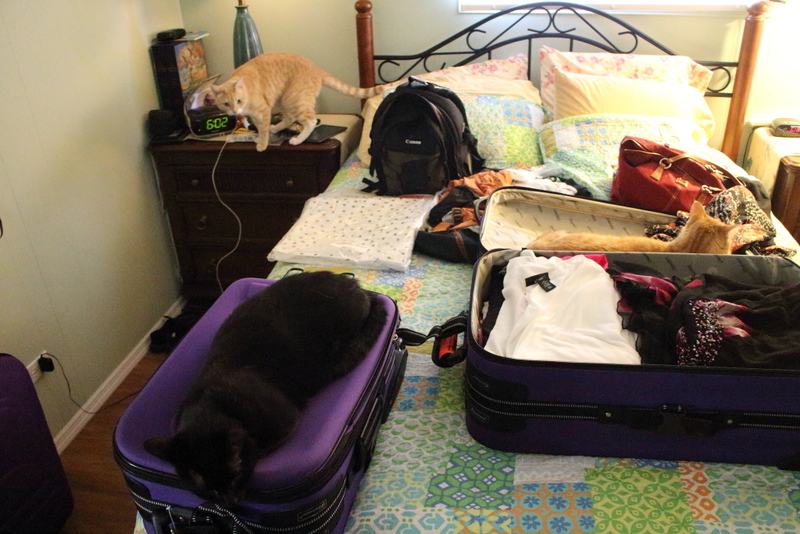 Of course, when there isn’t enough luggage space, problems are bound to occur. 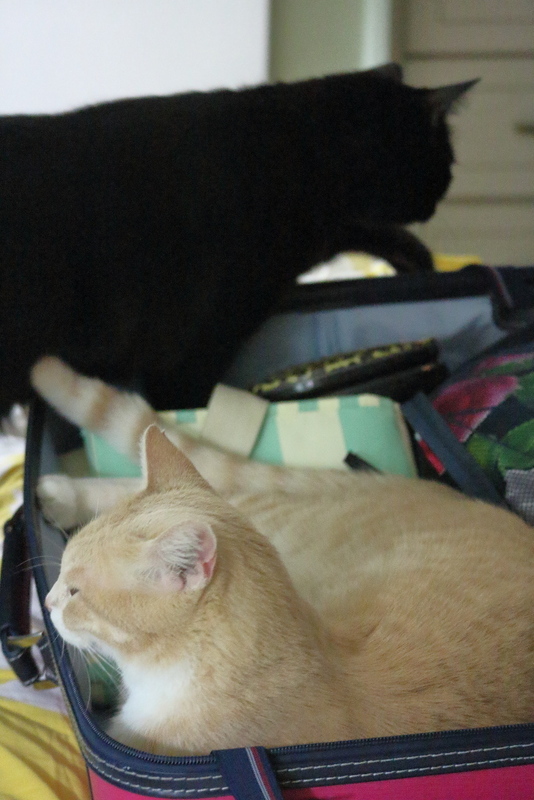 They were also happy to see us, almost as much as the luggage and we were equally happy to be home with our little boys. 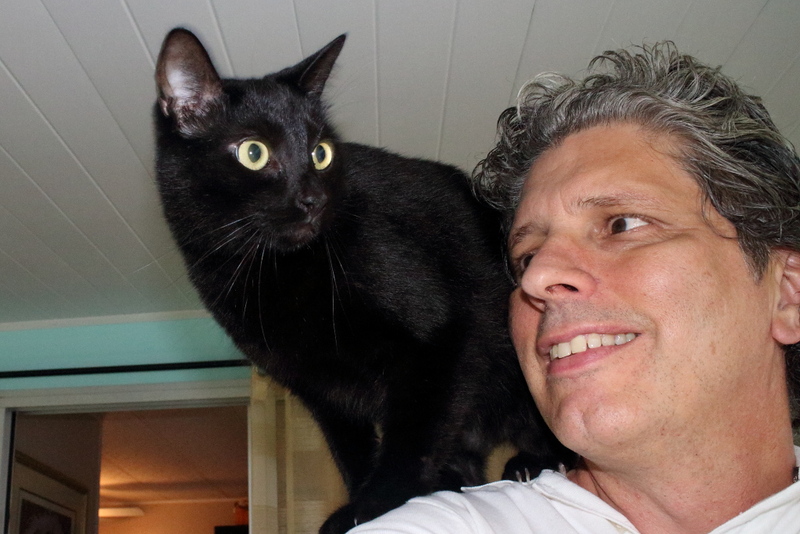 This entry was posted in Uncategorized and tagged Cats, home, luggage, vacation on October 5, 2015 by Charles Huss. 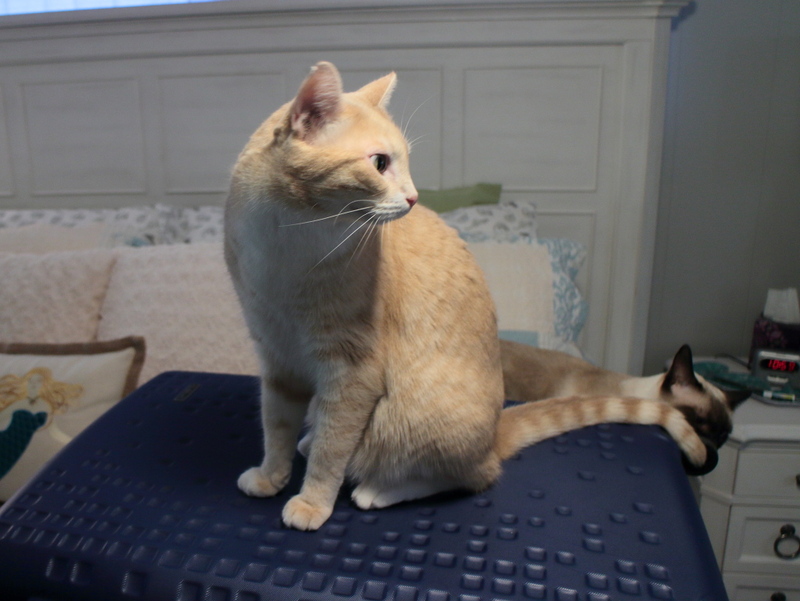 After Rose returned from her business trip, Chris had no choice but to follow his natural feline instinct and lie on her suitcase. 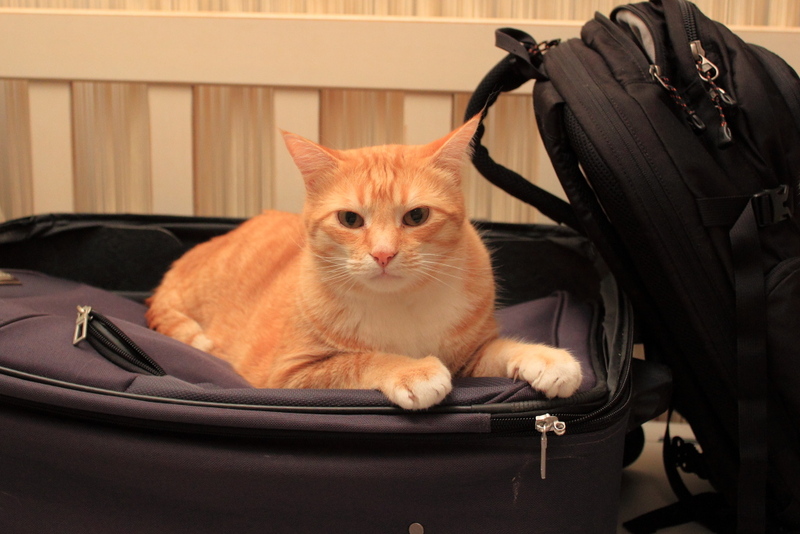 This entry was posted in Uncategorized and tagged cat, cute, luggage, suitcase on February 6, 2015 by Charles Huss.